From the liner notes by Jakob Ullmann (translated by Peter Gebert and Molly McDolan): "It was during a break in the inaugural meeting of the East German section of the IGNM (International Society for Contemporary Music) in March of 1990 when Reinhard Oehlschlägel, the long-standing music editor of Deutschlandfunk in Cologne, suggested taking advantage of the fact that John Cage was to attend the summer courses in Darmstadt as a special guest by inviting John Cage to East Berlin. . . . Making Giacinto Scelsis works accessible in the concert hall, the discovery of the quiet and the intangible in the late works of Luigi Nono, the deeply impressed reception even of distant traditions beyond the realm of music by Morton Feldman, and more, had led to the development of a sound phenomenon that would almost have to be called a style, and Cages works such as 72, and perhaps even more, 103, seem to fit in seamlessly. . . . Cage wrote In A Landscape in 1948 to a choreography of Louise Lippold; the rhythmic structure of the lyrical work echoes the structure of Lippolds dance with its 15 × 15 (5-7-3) measures, while the modal soundscape of the piece is clearly modeled on the aesthetic of Eric Satie. Thirty-four years later, Cage composed a piece for 1-20 concert harps, which was premiered in the same year in Minneapolis. In this piece, Postcard From Heaven, Cage draws on three double ragas, which are used both in their ascending and descending forms, and the characteristics of which may be utilized . . . The thirteen parts of Some Of The Harmony Of Maine for organ are based upon movements from a chorale book published in 1794 by Supply Belcher in Boston. Each piece is indicated by the title and, in abbreviation, the meter of the chorale. Cage did not change any of the notes of the original movements; instead, he used chance operations to decide which notes were to be carried over, which to be removed, the duration of these notes, and in which organ registers they were to be played." Performed by: SWR Sinfonieorchester Baden-Baden und Freiburg, conductor Jonathan Stockhammer; Kölner Rundfunk-Sinfonie-Orchester, conductor: Arturo Tamayo; Gabriele Emde - harp; Jakob Ullmann - organ. Includes a booklet in German and English. 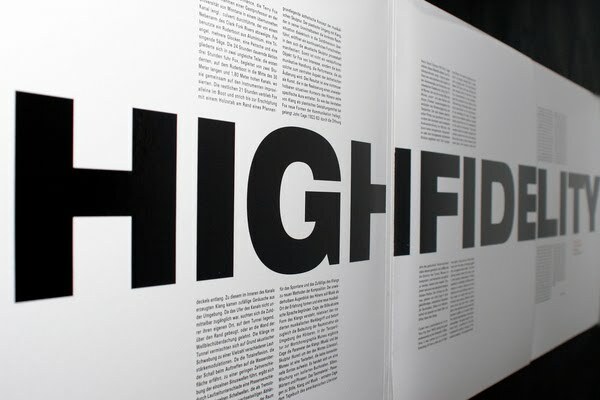 "Double lp in deluxe threefold sleeve and large booklet catalogue released on the occasion of the exhibion "High Fidelity. Artists Records in the Marzona Collection" at Kunstbibliothek Berlin 2008/09. The double lp features: LP 1 by John Cage, "John Cage speaks Mureau by John Cage" (68:07 min.) that was previously released on tape by S Press in 1972. 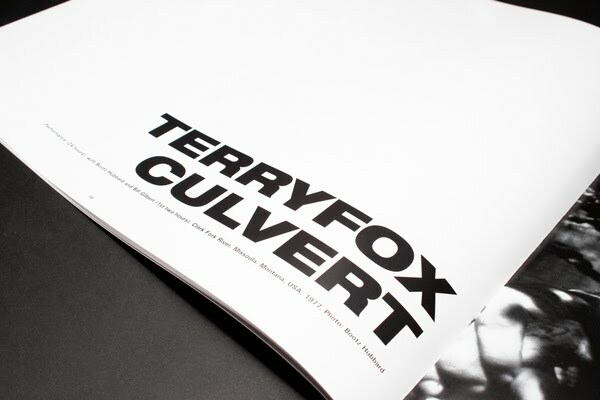 LP 2 by Terry Fox, "Culvert" (55:39) a recording of the sound art / 24 hrs. performance piece recorded in 1977, first time available. The 36 pp. book contains texts by Wolfgang Brauneis, Michael Lailach and Andreas Schalhorn (in german and english), a complete discography of the artists records in the exhibition plus foto/text material both on "Mureau" and on "Culvert". Edition of 1000 copies, co-released of the Kunstbibliothek Berlin with Edition RZ." - Edition RZ. 1992 release. "Italian improvisation group formed in 1964. The group featured Mario Bertoncini (percussion, piano), Walter Branchi (double-bass), Franco Evangelisti (piano), Hohn Heineman (trombone, cello), Roland Kayn (Hammond organ, vibraphone, marimba), Egisto Macchi (percussion, celesta) and (most famously) Ennio Morricone (trumpet). Frederic Rzewski (piano) also appears. Historic stuff, ala AMM or MEV." - Edition RZ. "Ferdinand Kriwet (*1942) its radio work 1961 with the language text began openly". "See texts", that left the traditional medium book and were published in displays and on placard walls, followed. Parallel in addition Kriwet developed theoretical manifestation to the acoustic literature, that became the base for its radio works. Picture and tone composed it to "text film", that were shown in Mixed-media-shows in art halls, churches and movie theater. For its manifold activities, it was priced with international praising. The sound material for its texts" "hear broadcast and television, a Sound pool, that permanently surrounds us on all waves, originates mainly. Organizes after semantic and musically rhythmic viewpoints, join itself the medium quotations to impressive auditiven Collagen. The hear pieces presented here process the massenmedialen representation of the first manned moon landing (1969) and the American presidency choices 1973, fragments out of sport coverage and further language material and sound material out of the broadcast. With "Voice of America", "Apollo America", "Campaign", "ball", "radio ball" (Karl-Sczuka-Preis 1975) and "radio" six of its legendary radio works are published here for the first time on sound-recording medium; on the six Picture-Disc-LPs, six of its legendary "see texts" are reproduziert." -Edition RZ (via freetranslation.com) "Absolutey stunning release - three picture discs with Ferdinand Kriwets legendary audiocollages and radioplays from the 1960s & 70s, comes in a deluxe box, with booklet (in german). "- Amusik. "Re-release of ed. RZ LP Luigi Nono plus three remarkable recordings. All works by Luigi Nono: ("A Carlo Scarpa" for large orchestra), ("A Pierre" for contrabass flute, contrabass clarinet and live electronics), ("Guia Al Gelidi Mostri" for electronically treated winds, voices and strings). Plus an additional CD of compositions not on the original LP: "Caminantes" and "No hay caminos, hay que caminar." Regarding Nonos concept of "new listenings": "This no longer means revolutionizing the entire linguistic system i.e. a subversive attack on the institution of music; rather it means progressively expanding the technical possibilities of sound produced by traditional instruments and the perceptive faculties of the listener." "Wanderer, your footsteps are the road, and nothing more; wanderer, there is no road, the road is made by walking. By walking one makes the road, and upon glancing behind one sees the path that will never be trod again. Wanderer, there is no road -- Only wakes upon the sea." --Antonio Machado. "A CD of minimalist environmental sounds by this Japanese sound-artist, previously known for his fabulous Soundsphere CD on the Dutch Het Apollohuis label." - FE. "This music was recorded in Takano, Tango-cho, the northern-most coast of Kyoto, where I live. The bay surrounded by volcanic rock caves is the place where the mighty sounds of waves of the open sea have their muffled echo. Seawater flows into the hollows in the rock again and again like breathing in and breathing out. Spring water constantly drips in the cave, and now and then the wind from the meadow above the chasm brings the sounds of the crickets...the sound spaces of the coast of Takano. A site of a new encounter with the rhythm of the sounds of the sea." - Edition RZ. Restocked. "From the liner notes by Hans-Peter Schulz; Translation by Peter Gebert: "... SOLO II: Solo II is part of a group of works with the title Buch der Stille 1 (Book of Silence 1). This is a series of solo pieces for flute/oboe da cacchia (solo I), trombone/bassoon (solo II), organ (solo III), low string instrument (solo IV), and piano (solo V), all of which were developed from the same compositional idea; the series is a generalisation of disappearing musics, itself a composition for three winds, two strings and two pianos written between 1989 and 1991. The individual solo-compositions can be performed separately, as well as in all combinations simultaneously. After Jakob Ullman had met John Cage in person on the occasion of a Cage festival organised by the Deutschlandfunk in 1990, this encounter developed into a lengthy and intensive exchange of ideas which had considerable impact on the compositional process that Ullmann was concerned with at the time, specifically of soli I, II and III, finished in 1992. The pieces can therefore be rightly considered as a reflection and result of this exchange of ideas . . . MÜNTZERS STERN (MÜNTZERS STAR): Between 2014 and 2016 Jakob Ullmann composed the orchestral work steine, feuer, sterne (stones, fire, stars). . . . One section among these is the section for a solo bassoon, which may be performed independently under the title Müntzers stern. Thomas Müntzer, born around 1490, was a keen supporter of the Lutheran Reformation. . . . After the battle near Frankenhausen, Müntzer was captured, tortured and eventually beheaded. As a priest, he strove for the renewal of divine service and translated liturgical texts and hymns from Latin to German even before Luther. The title Müntzers stern refers to the Advent hymn Gott heilger Schöpfer aller Stern, a translation of the medieval hymn conditor alme siderum done by Müntzer as part of this work. Ullmann spread the melody of the hymn over the total duration of the composition in a very prolonged manner. In the course of this process, the six different tone pitches of the hymn, which are heard either being sung or as an emphasised partial within the bassoons spectrum, are supplemented by another six tones, played ordinario on the bassoon, those still missing in the twelve-tone space, until the chromatic scale is completely filled in ..." - Edition RZ. "Amazing Iannis Xenakis collection of historical recordings of essential works. Disc one features all works on CD for the first time; Disc 2 features different mixes of Xenakis most famous electronic works. "Disc one with the orchestra works represents an era of Xenakis development of polytope, geometrical, mathematical, based works from the late 1950s to the 60s in historical recordings earlier released on LP except for "ST/48" which has not previously been released." Includes: CD1: "ST/48" (for 48 Instruments, 1959-62); "Le Polytope de Montreal" (for four Orchestras, 1967); "Nomos Gamma" (for large orchestra scattered among the audience, 1967-68); "Terretektorh" (for large orchestra scattered among the audience); "Syrmos" (for 18 strings, 1959); "Achorripsis" (for 21 instruments, 1956-57). CD2: "Persepolis avec mouvement version" (electroacoustic music on 8-track tape, 1971); "Polytope de Cluny" (electroacoustic music on 8-track tape, 1972." - Edition RZ.